These magical 50 roses are the perfect to send to your mother, father or sister or a close friend. 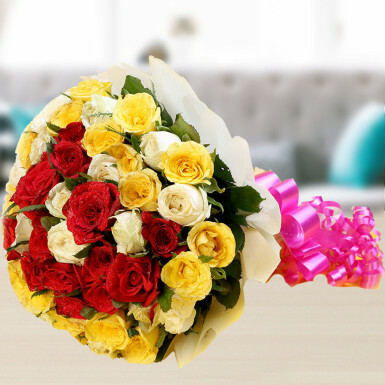 Enjoy the rejoicing beauty of sending the magical 50 mixed colored roses and saying it in a simple way that distance will never come in the way. This perfect bunch can be sent to someone whom you love deep in your heart. Someone who is away and you miss them badly today. We are sure the everlasting fragrance of roses will make them recall that you gifted those flowers.